Yes, single parents can travel the world with their kids too! Although traveling the world as a single parent isn’t something that we hear a lot about, there are single parents out there who are opting to move abroad and live nomadic lifestyles with their children. Daniela Gibbs is the perfect example. Daniela Gibbs is a single mom who travels with her son. 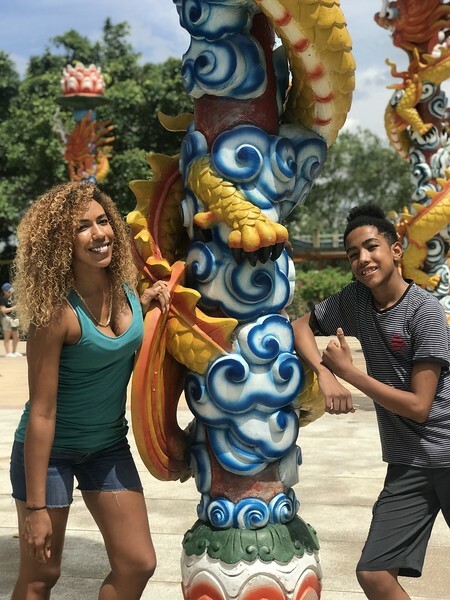 Together Daniela and her son have embraced the nomadic lifestyle and moved to Thailand. They plan to call Germany home next. Daniela inspires parents to travel with their children and informs them of the possibilities of achieving their goals, especially travel goals, through sheer will, desire and determination. Daniela is the author of “We Travel Two” the resource guide for keeping your child educated while traveling. “We Travel Two” is a 3-part series (part 2 and 3 coming soon) that shares educational tips and resources for traveling parent(s) dispelling common fears that single parents can’t show their children the world. Is living in Thailand as cheap as they say? Worldschooling and unschooling are alternatives to traditional educational curriculum which offers a more natural and holistic approach to learning. Unschooling is the natural method of learning – children have a natural desire to learn and understand the world around them by watching, engaging and experiencing things either on their own or with family. With unschooling you don’t follow a curriculum but instead allow the child to take control of their own education pursuing their interests and passions. Worldschooling takes the unschooling concept and adds travel. Worldschooling is a global approach to education. Worldschooling is when you let exploring destinations and experiencing and interacting with the world guide a child’s learning. Essentially you’re letting cultures, religions and the way of life do the teaching. With worldschooling, the world is a classroom! Since worldschooling doesn’t have an official definition, each family defines worldschooling differently – there is no right or wrong way to do it. Thanks again for listening! Are you enjoying the show? If so, leave us a review on Apple Podcasts or share this episode with your friends on Facebook or Twitter! 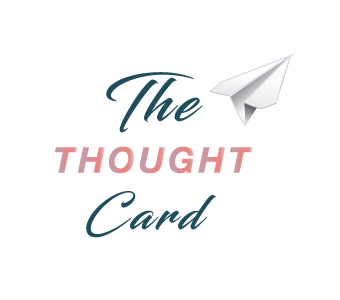 Also, listen to more episodes of The Thought Card like Episode 3: Teaching English in China. In this episode Richelle Gamlam shares tips for teaching in China and why teach abroad programs may not be best fit for aspiring teachers.